FILE - In this Friday, Feb. 5, 2016, file photo, NFL Commissioner Roger Goodell speaks to the media during a news conference in San Francisco. 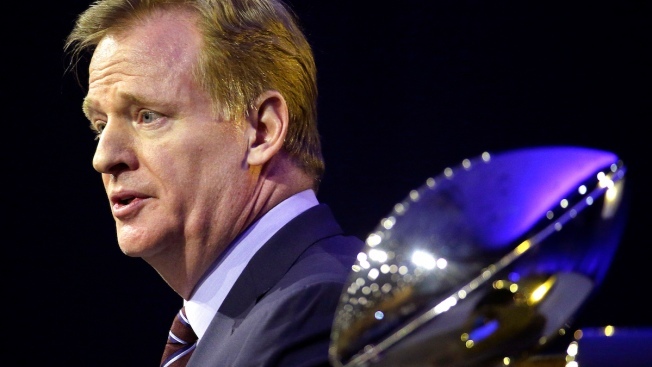 NFL Commissioner Roger Goodell said Wednesday that the league will not return the draft picks taken from the New England Patriots as penalty for the Deflategate scandal. Patriots owner Robert Kraft told reporters on Monday that he wrote Goodell a letter asking for the return of the team's draft picks. "I did receive the letter and considered his views," Goodell told reporters on Wednesday at the NFL Annual Meeting in Boca Raton, Florida. "I didn't think there was any new information. There will be no change to the penalty." The Patriots lost this year's first round pick, a future fourth and were fined $1 million by the league in the wake of Deflategate. Quarterback Tom Brady was also suspended for four games, which was overturned on appeal. The NFL is still appealing that decision and it remains possible that Brady could wind up missing time next season. Goodell was also asked Wednesday about reports that the NFL might settle its case with Brady and said he is "not aware" of any talks.